gstreamer-properties: testing input fails with "Failed to construct test pipeline for ..."
I'm experiencing same behaviour as in bug #37184. 2. Select ALSA or OSS as plugin for default input. 3. 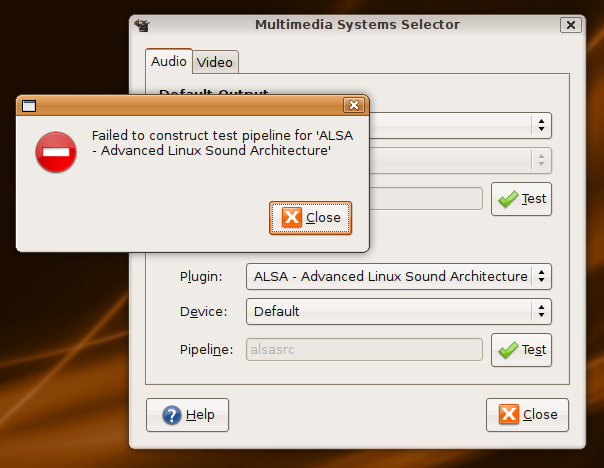 A message with an error like: "Failed to construct test pipeline for 'ALSA - Advanced Linux Sound Architecture'" will come up, depending on which input you select. It was killed at the moment where the error message popped up. I am experiencing a similar bug, with the same error message in gstreamer-properties. 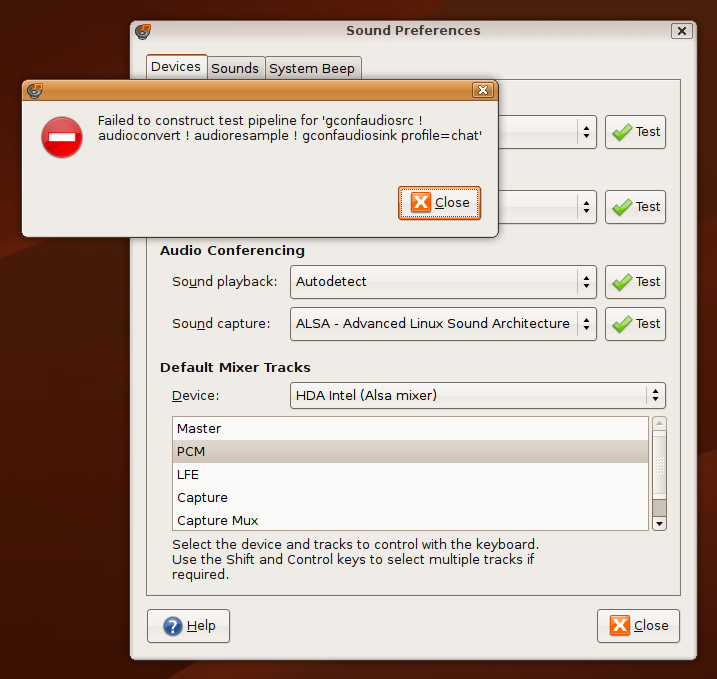 If I run the gnome sound config applet and test "Sound Capture" from there, I get the message "gconfaudiosrc ! audioconvert ! audioresample ! gconfaudiosink profile=chat: Could not open resource for writing."